1 Safety Mat is required per 2 climbing wall panels. MADE IN THE USA. The folding mats will fold down to sections to allow easy transport and storage. 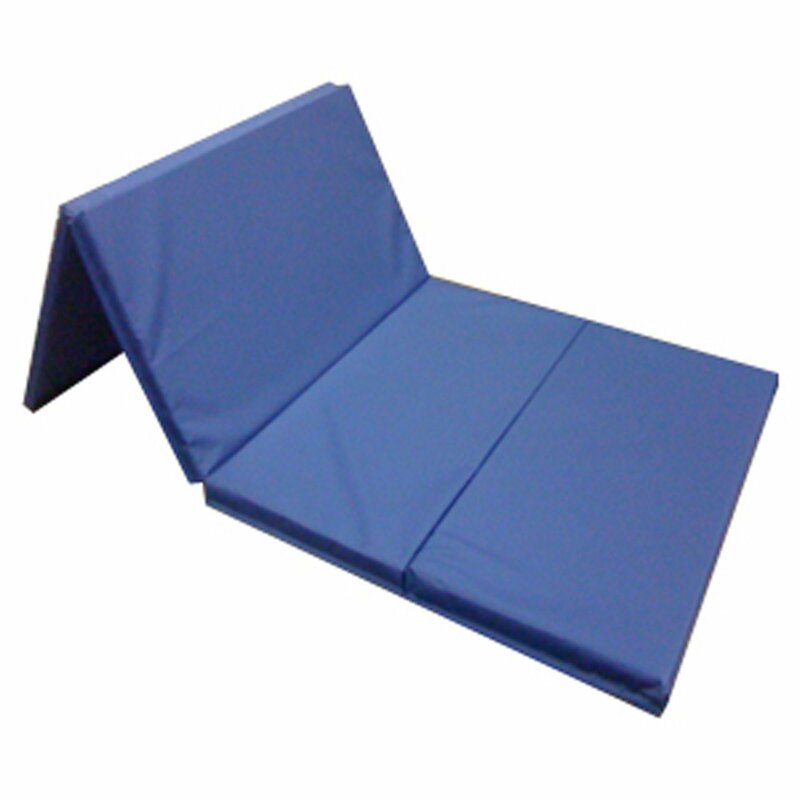 Mat is made with 1-3/8 inch thick cross link firm foam enclosed in a durable 18 ounce vinyl coated nylon cover. The vinyl cover is fire retardant, mildew and puncture resistant. Jacob's Climbing Walls scream out to the adventurous side of kids. Our climbing walls offer an energetic challenge which builds self-esteem, endurance and overall fitness. Climbing walls are available in either a whimsical design (purple, yellow, green and red highlights) or in a rugged life-like color scheme such as mossy green, black and gray. Nearly 45% of children are either overweight or in danger of becoming overweight. Kids today have developed some risky habits that put them in danger. Children are less active at home and at school and are eating more junk food than ever. The fact is, the fitter the child, the better their brain works- we need to get kids moving!